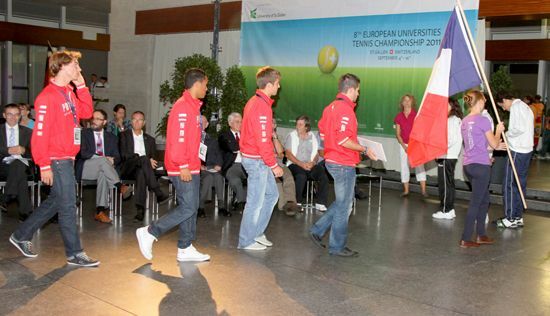 The 8th European Universities Tennis Championship was organised in St Gallen, Switzerland between September 4 and 10, 2011. 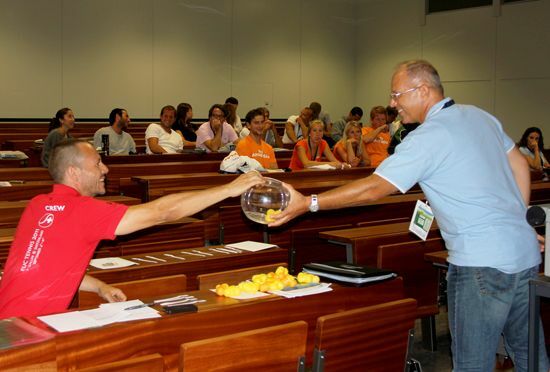 The Opening Ceremony took place on the evening of September 4th, 2011, in the lobby of the University of St. Gallen. The Ceremony was attended among other political and academic authorities by the Rector of the University of St. Gallen, Prof. Dr. Thomas Bieger, by the President of the Parliament of the Canton of St. Gallen, Karl Güntzel and the Mayor of the City of St. Gallen, Thomas Scheitlin. 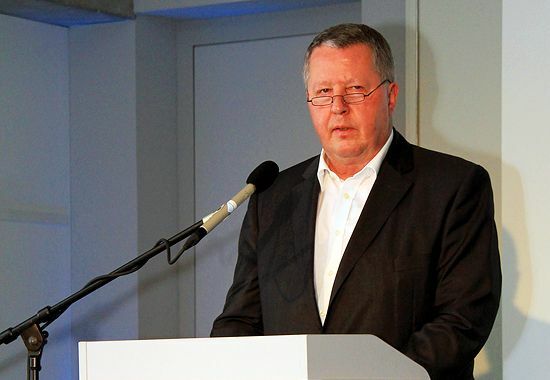 OC President Daniel Studer welcomed the participants from 12 different European nations. "We will do our best that you will bring back some great impressions not only from your tennis games but also from Switzerland and the lovely people here," he said. The EUSA Delegate, EC Member Olaf Tabor stressed the fact that "the championships are not only competitions, but also great opportunities to add to the academic prestige of the university, to reinforce confidence and personal capacities of the athltes and finally to make new friends all over Europe." EUSA was also represented by Nick Grivas, Technical Delegate for Tennis, and EC Member Leonz who is the Director of University Sport in St. Gallen. 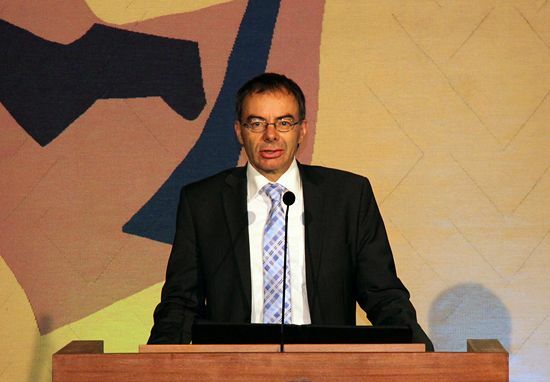 The Rector of St. Gallen University, Thomas Bieger, mentioned the great importance of sport in the life of students. He also said that friendship, endurance and fairplay belong to the main goals of sporting activities. Finally he officially declared the 8th European Universities Tennis Championship open. The competition hosted 23 teams representing 17 universities from 12 countries and will be held in the two Tennis Centers Gründenmoos and Ullmann. Among the players there were some very good athletes with ATP resp. WTA points. The women's tournament was won by Moscow MESI with a 2:0 victory over University School of Physical Education Wroclaw. The third place also went to Poland. Kozminski University won 2:0 against the University of Warsaw. In the men's tournament the French team of the University of Poitiers won the title with a 2:0 victory against Moscow MESI. Adam Mickiewicz University Poznan won 2:1 against the University of Hamburg and took the bronze medal. Full results, photos and more information about the event can be found online at www.unisg.ch/euctennis2011.